A cache of exquisitely preserved bones, found in a coal mine in the state of Gujarat, India, appear to be the most primitive primate bones yet discovered, according to an analysis led by researchers from The Johns Hopkins University and Des Moines University. Their assessment of the bones, belonging to ancient, rat-sized, tree-dwelling primates, bolsters the controversial idea that primates native to what is now India played an important role in the very early evolution of primates, mammals that include humans, apes and monkeys. A description of the research was published online Aug. 7 in the Journal of Human Evolution. According to Rose and lead author Rachel Dunn, Ph.D., an assistant professor of anatomy at Des Moines University, this suggests that the little primates represent a very early stage of primate evolution. That idea is counterintuitive, they say, because older primate fossils exist that show more specialized features, but they add that that situation is fairly common in the fossil record. At the beginning of the Eocene Epoch, about 56 million years ago, the world was warming, encouraging the dispersal of mammals between northern continents. The oldest known primate fossils found appeared around then in North America, Europe and northern Asia, but they can already be categorized as either adapoids or omomyids, the most primitive members of Strepsirrhini and Haplorhini, respectively. 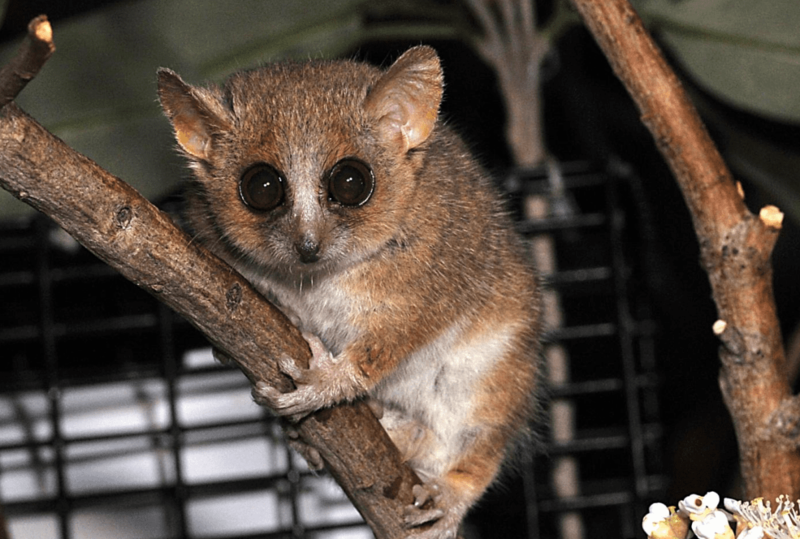 Adapoids were relatives of current day lemurs, lorises and bushbabies, while omomyids were more closely related to living tarsiers, monkeys and apes. The newly discovered group of 25 tiny bones, all from somewhere below the neck of the animals, are younger — some 54.5 million years old — but considerably more primitive than the oldest known primate fossil, Teilhardina, which first appears in deposits at the beginning of the Eocene, almost 56 million years old. They are also more primitive than a relatively complete skeleton of the primate Archicebus, found recently in China and dated to about 55 million years ago. Their analysis, Rose says, suggests the Gujarat primates are close descendants of the common ancestor that gave rise to the adapoids and omomyids found on the northern continents. But the Gujarat primates date back to a time when what is now India was a drifting land mass — isolated from the northern continents and inching its way toward southern Asia. Rose says there are several possible scenarios to explain what they’ve suggested, but all his team can say with high confidence now is that the tiny primates occupied equatorial India prior to its collision with Asia. Even though the researchers don’t have enough bones to reconstruct a whole skeleton, the bones weren’t embedded in rock so they could be thoroughly examined from every angle, providing insights into the evolution of primate anatomy. Their analysis is that the Gujarat primates were adapted for climbing the tall dipterocarp trees of ancient rainforests but were less specialized than present-day leaping lemurs or slow-climbing lorises. Their limbs and joints suggest more generalized climbing, as in present-day mouse lemurs and dwarf lemurs. Because of such features, Rose and his colleagues aren’t sure which clade some of the bones belonged to, suggesting that they represent the most primitive primate anatomy known. But a few of the bones do show the beginnings of features that would later distinguish the clades, like deep grooves where the thigh bone connects to the knee, which helps animals like lemurs to leap. Rose believes it’s possible that differences in hind limb-based movement led to the primates’ divergence into two clades. Previously discovered teeth and jaws of these tiny animals suggest that these primates were also close to mouse lemurs and dwarf lemurs in size, about 150 to 300 grams in weight, or 0.5 pounds. Considered together with their generalized anatomy, the small size of the Gujarat primates is likely another primitive trait, with future primates tending to increase in size.